A majority of intersection-related fatal crashes occur at rural crossings where high-speed major highways intersect lower-speed secondary roads. Vertical and horizontal curves can make it difficult for drivers to identify safe gaps in the oncoming traffic when crossing or turning onto the high-speed road. Realigning intersection approaches and other methods can be time-consuming and expensive, and may lack justification at low-volume rural intersections where local agencies have limited budgets. 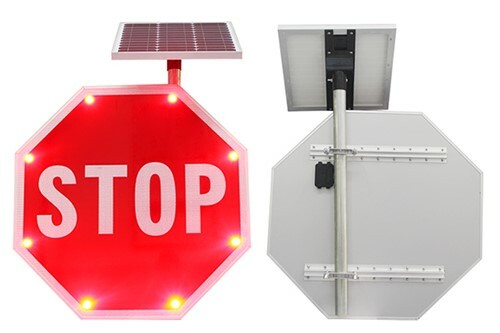 Blinker Stop LED signs are typically solarpowered so they can be easily deployed in any location with adequate sunlight. 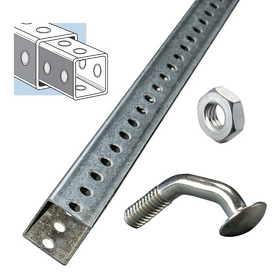 They can be programmed to flash 24 / 7, dusk-to-dawn or during any desired intervals. 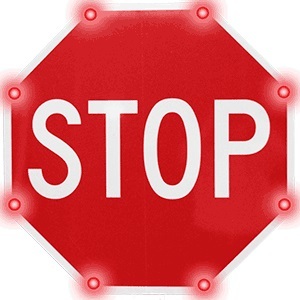 Blinker Stop LED signs can be wirelessly linked to other ITS devices including radar/vehicle detectors. These detectors can pick up vehicles exceeding the set speed threshold from up to 300 ft, triggering a Blinker Stop to flash for a set amount of time. Blinker Beam wireless communication eliminates the need for trenching, installing wiring and makes it possible to install the system in virtually any location, requiring little time and effort.